Redirect is a way to redirect users and search engines from one url to another. 301 Redirect is permanent. It allows preserving about 90-99% of a search engine rank. This redirect indicates that the page was moved to a new address and that the old url will be considered outdated. 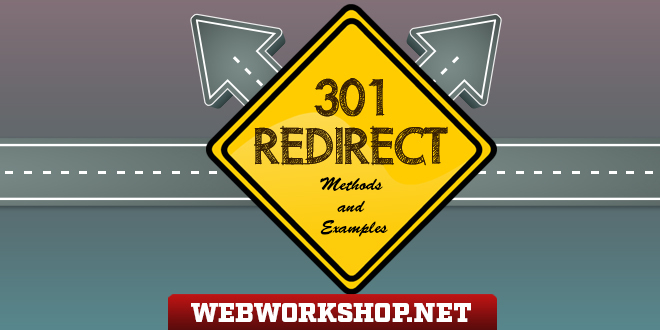 302 Redirect is a temporary redirection. This redirect does not preserve a search engine ranking. 307 Redirect in Protocol HTTP 1.1 has become a successor to a 302 Redirect. While main crawlers will consider it a 302 redirect analogue, it is better to use a 301 redirect for almost all cases. Spammers like using such redirects to create doorway pages. Meta refresh redirect preserves almost no search engine ranking. So, you bought a new beautiful domain with a good history, or you just don’t like the old one anymore. Do you need to move the website to a new domain, and at the same time not lose search engine rank and Google loyalty? Set up a redirect on your new website and very soon your domain will appear in google search engine results. You can paste the links in the corresponding fields and receive the completed code for your website. It is very important to understand that you have set up your redirect correctly. Otherwise you may lose search engine ranking, as well as Google loyalty. Enter the main page. It should redirect you to the necessary address. Check all main sections of the website. We recommend using our Redirect Checker service to check. Google sees urls of different types (with and without a trailing slash) as different pages. That is why it is important to use only one url type. This redirect is used for the redirection of any home page address to the main home page address. This method is used if your website has a catalogue structure depicted in the url (/catalog-category/) and you need to change the url . Google considers a letter case in an url. It is desirable for all urls to be in a lower letter case. How does google understand a redirect value? -hey, Google! This page is no longer here. It was permanently moved to a new url. Please delete this address and register a new one. Both a 301 redirect and Canonical help preserve a search engine rank and will be similarly considered by Google. But a 301 redirect is a preferable method. Any multi-step redirect. It is better to avoid multi-step redirects if there is an opportunity, both for the purpose of quicker use and for the transfer of a maximum search engine rank. Use of an incorrect redirect type. When choosing the redirect type, you need to consider the specifics of each of them. Implementation of internal redirects without changing links into new addresses. After all redirects on the website are implemented, it is necessary to check that each page of your website is already linked to the new one and that within the website you do not have links to the pages with redirects. Incorrect use of rel=canonical or a 301 redirect. I hope that this article would help you set up your first redirect! Really this article will be helpful for search engine optimiser. Its a great article on SEO. Very well explained methods and examples. Thanks for sharing. That’s really perfect solution of the best redirection. thank you very much brother, this sharing helpful for me to complete access file. Thank you for this awesome piece of content, very informative and I will use this in my SEO practice. It is really perfect solution of the best redirection. It is sharing helpful for me to complete access file. It is better to avoid multi-step redirects if there is an opportunity. I need a photo view and edit software. what is best software for view and edit ? Do you know “KrojamSoftPhotoViewerPro” about it, then tell me.